I’m always on the lookout for cute gifts – whether for my two boys, my husband, my nephew, or my gaggle of nieces (and okay, sometimes for myself too!). With a string of birthdays coming up I’m glad to add a new source for cute gifts to my go-to list – Candy Cloud. Candy Cloud just launched as a brand this past summer with the introduction of their macaron throw pillows. They are just about the cutest pillows I have ever seen! They come in five colors and retail for $25 each. When I saw these pillows I immediately knew they would be a great gift option for my older nieces who are very into bright colors and fun items to decorate their rooms. 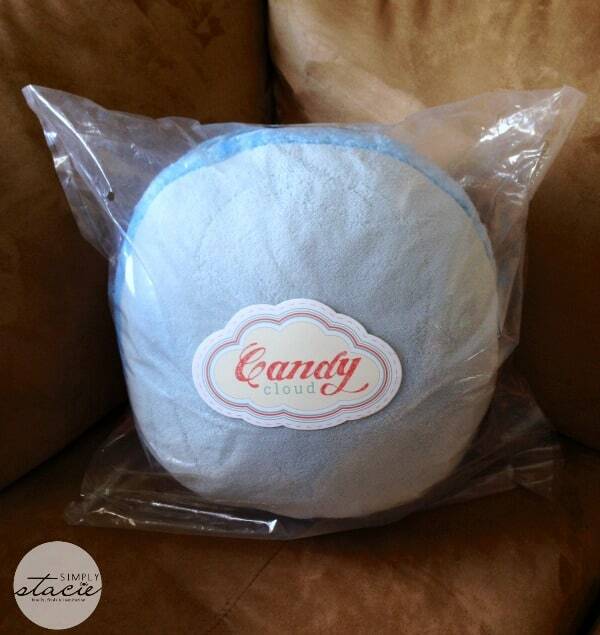 Candy Cloud sent me a Earl Grey (Blue) pillow for review. 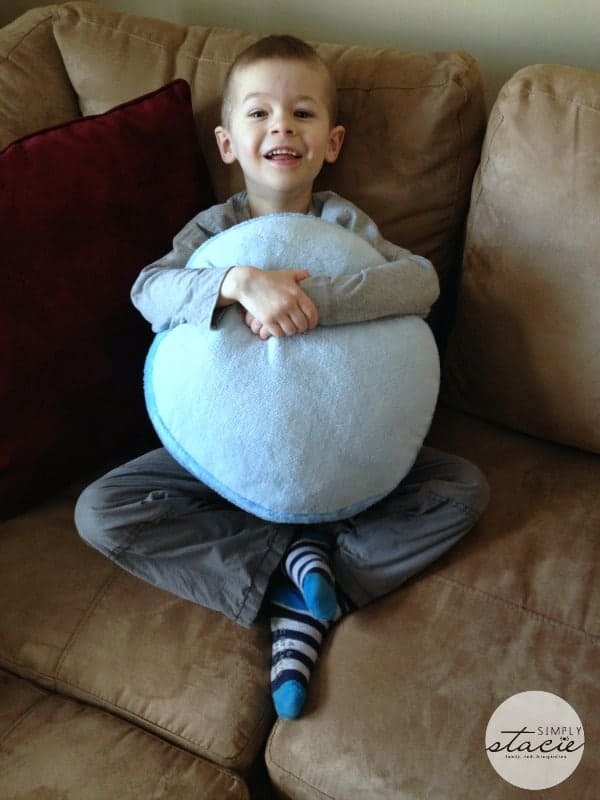 Beyond being incredibly cute, this pillow is very sturdy, and comfortable – definitely a pillow you can take a nap with! I love the texture of this pillow and the cute little macaron detail. The Earl Grey color would compliment any decor, and I think it looks great on my couch alongside my other pillows. 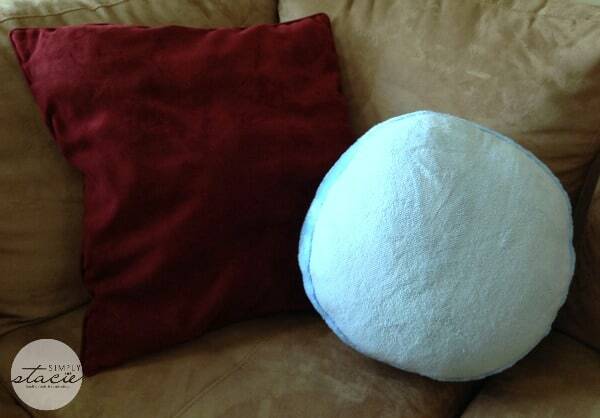 My boys have also taken a liking to this pillow because of its color and size. I think these pillows would make a great birthday gift for any young girls or boys in your life, a graduation gift for someone headed off to the dorms, or anyone with a fun-loving decorating style. Besides Earl Grey, they also come in Lavender (Purple), Pistachio (Green), Vanilla Raspberry (Pink), and Lemon (Yellow), and you can save by buying all five colors for $100 on the Candy Cloud site. Candy Cloud was started by five friends in Southern California who all share a love of interior design and food. The company’s name is derived from their first product – their signature macaron shaped pillows. 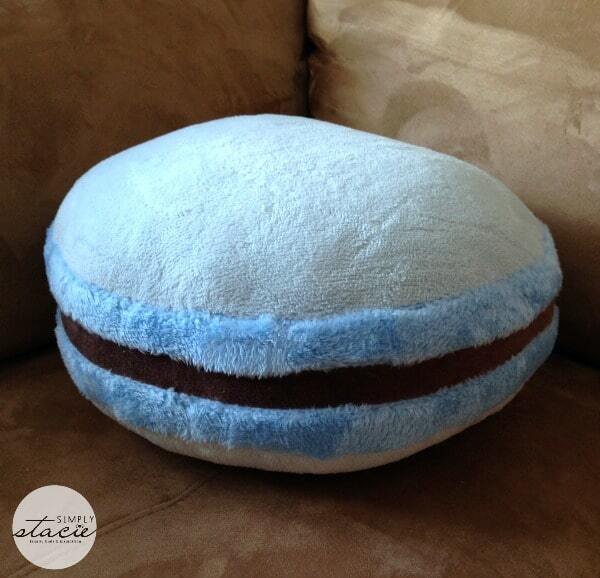 Their goal is to make “yummy things into fluffy things” and they’re off to a good start with the macaron pillows! You can learn more about Candy Cloud on their website. I would love the green pillow! I would pick the purple! Macaron Decorative Throw Pillow – Earl Grey (Blue). I would pick the Earl Grey (Blue) if I won! These are adorable. If I was the lucky winner, I would choose the CandyCloud™ Macaronian™ Macaron Decorative Throw Pillow – Lavender (Purple). I would pick Lavender (Purple). I would love one of their Lavender (Purple) pillows. I would pick the lavender purple pillow. I would choose the Earl Grey (blue). I would pick Vanilla Raspberry! I usually like purple… but… I think I might want a pink macaroon pillow! !